One of my favorite Jet Li films. This is one of my all time favs from Jet Li. I got the film on VHS in 2000, dipped for the DVD back over the summer and then bought the Blu-Ray this Christmas. 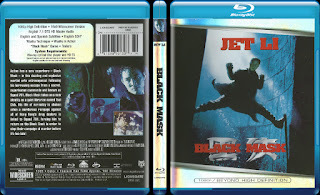 Jet Li is a supersoldier is escapes to live a normal but his fellow soldiers, known as the 701, want him to help in extorting FBI crime files. He takes on the persona of BLACK MASK and brings down the 701. It's a simple action but it's enjoyable. The transfer is nice in general but it could be better. There's print damage here and there which is kinda annoying. There's even a scene where a hair is seen on the screen for several seconds over Jet Li's mouth. The video also freaks out in the opening for a second, it shows Jet jumping and then it flashes and the picture freaks out. It's ok, there's only a 7.1 track. Not that much, a trivia game and trailers. If you like this film, then by all means get it like I did for around $20. 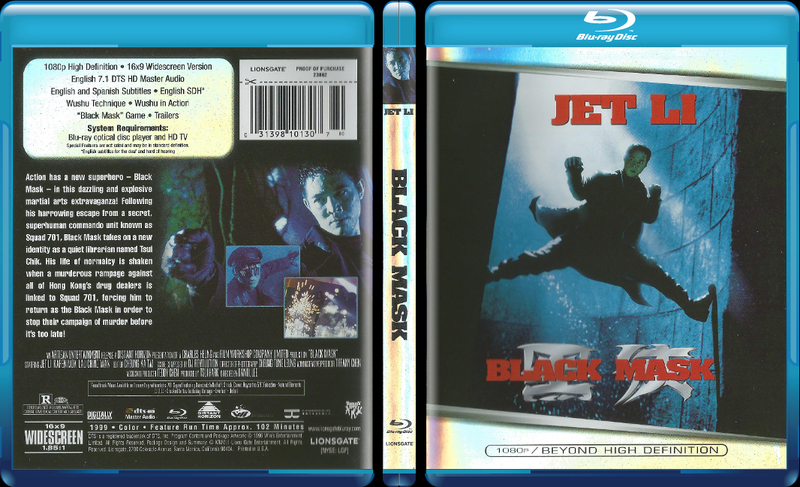 I wouldn't pay any more money than that for this Blu-Ray. Lionsgate screwed it up and screwed up the DVD transfer too.